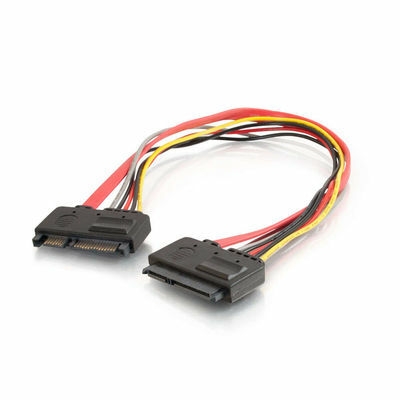 Cables To Go 12 inch 22 pin male to female power and data SATA adapter cable is perfect for backplane extension. This cable provides full SATA Male to Female pin-out for all 15-Power and 7-DATA pins (22-Pins total) 22 pin male to 22 pin female. This page was generated on Thursday the 25th of April 2019 at 8:50:22 PM EST.